UNEQUIP THIS CLASS. It will become a pet. Thank you for helping test the Cryomancer Class! Your mini pet will be coming very soon! This temp version will be changed into a mini-cryomancer pet after the class testing is over as our thanks for your help! This item was changed to Cryomancer Mini Pet on December 26th, 2014. 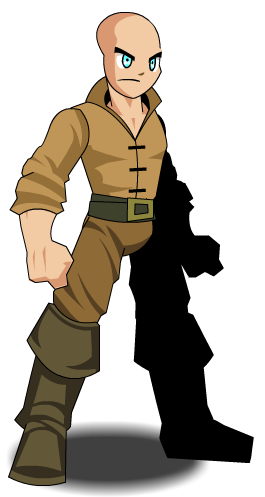 Also see List of all Peasant Armors. Thanks to Apus, Dragarr, Matheew and Tristyn.